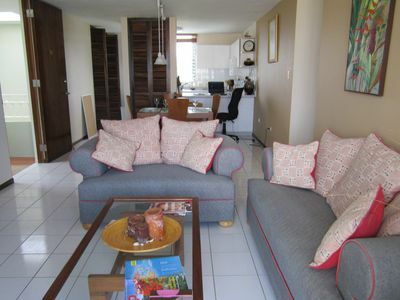 Bright Trendy-Chic New Designer Apartment In Front Of La Concha Hotel, Best Location! 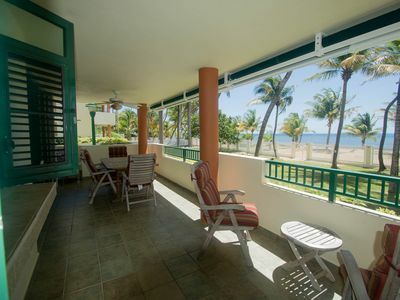 Experience Condado Beach living at its finest! The property: a bright, trendy designer apartment entirely remodeled and tastefully decorated. 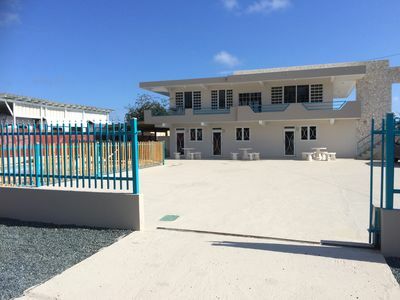 A complete renovation was carried out in 2015, including brand new furniture and appliances. Be one of the first guests to use it! 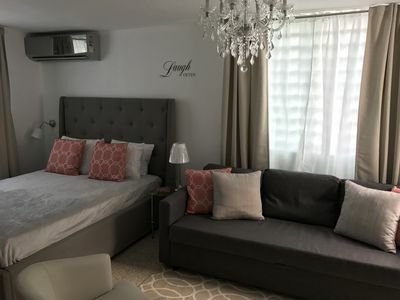 The apartment has all the amenities you may need, including but not limited to: a fully equipped kitchen including brand new appliances, powerful (yet quite) A/C units, a plush queen-size bed, a full sofa bed, a 40” plasma TV with cable service (ie. Spanish and English channels, sports and movie packages), high speed Wi-Fi connection, washer/dryer and many more. 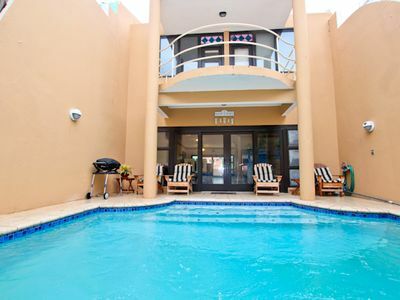 The building: “Condado Center” is nestled in Magdalena Street, parallel to Ashford Avenue and less than 500 feet (150 meters) away from La Concha Resort / Condado Beach. Parking options: Daily / monthly parking available (ask for details) ! The neighborhood: Condado characterizes itself as a pedestrian community with arguably the finest urban beach in the Caribbean. After enjoying your day at the beach, head down to gourmet shops, grocery stores, local bars, boutique restaurants, cafes, all within walking distance. 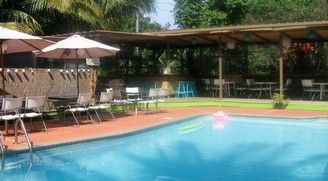 This commercial strip is a great place to mingle with locals or other vacationers alike and truly experience the real energy of Puerto Rico. For the more adventurous souls you can rent a beach cruiser and enjoy a number of historic sites, cultural / art museums and a unique mix of eclectic activities and attractions. It is also an ideal location for any kind of water sports with world-class kite and windsurfing conditions year-round (please ask for beginners or intermediate lessons). Bedroom: Queen size bed w/ quality mattresses, A/C system, his and her closets, plenty of quality linens, pillows, blankets and fresh towels. Living room: Brand new sofa bed (full size). Bathroom: Rain shower, European-type cabinetry with plenty of storage space. 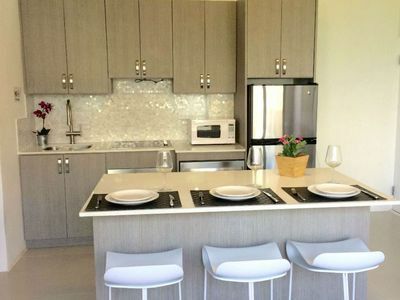 Kitchen: Brand new appliances, fully equipped, dinning setting for 4, center island, full washer/dryer. Luis Munoz International airport: Less than a 12 minute drive (without traffic). Isla Grande Domestic airport: Less than a 12 minute drive (without traffic). 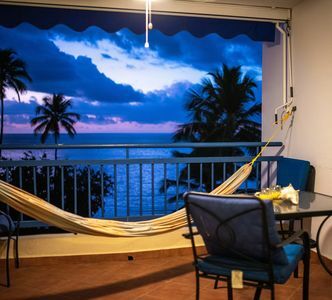 A 40 min drive from the property will get you to Fajardo (great marinas and ferry terminal to Vieques and Culebra islands). If the apartment is NOT rented by another guest (the day before check in or the day after check out) the lesser will have flexibility to select the check in / check out time. If the apartment happens to be rented, the schedule shall be the following: check in by 4pm and check out by 11am. 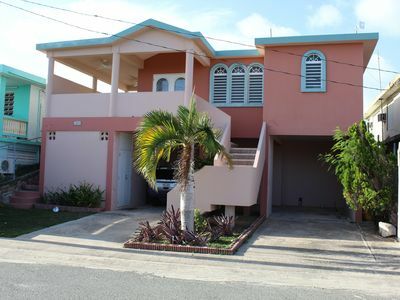 Make this a memorable trip to Puerto Rico in this brand new property!!! 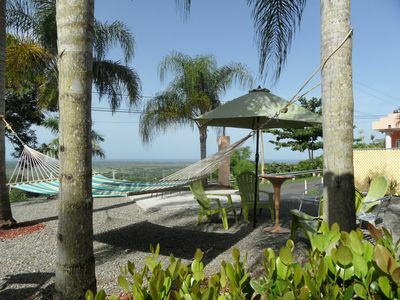 Fabulous ocean view 4 br w/ private Pool for 13! Just across from Surf/Snorkel beach. Surfers favorite location.